First of all, let me comfort you by saying, you are not alone. Homemaking is never easy for any mom. It can be a real challenge everyday, especially if you are a new mom. 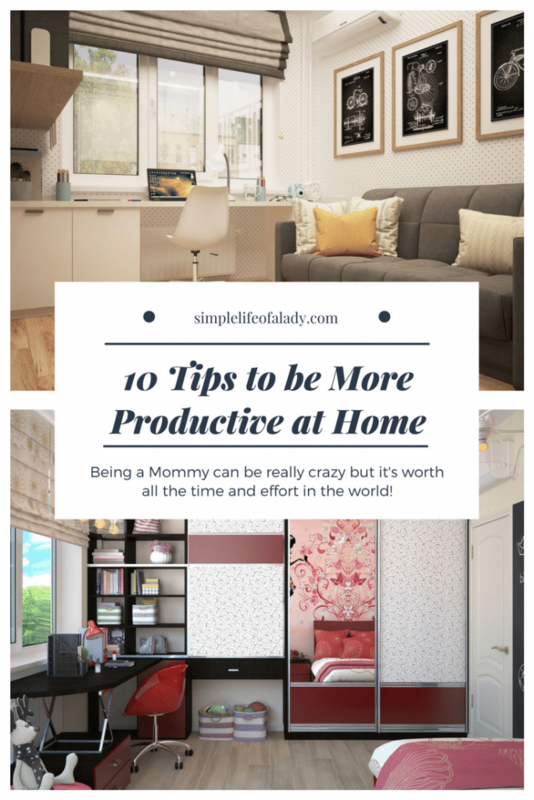 Thankfully, there are always solutions that you can apply at home no matter what stage you are in motherhood that will make your days more productive. Here are 10 ways you can be more productive everyday. 1. Use planners, to-do lists, reminders and timers. Haha. My favorite set of organizers. Let’s take them one by one. First of all, plans give you direction and help you focus on your most important tasks. What better way to remember them all than using a planner? Seeing all your appointments, projects and commitments written down in one place is the best way to keep you on top of things, making sure you don’t forget them. To-do lists help you see your routine clearly and keep you even more focused. It helps if you do this daily. Always refer to your planner when creating your to-do list. It also pays to write your list in advance so that when you wake up the next day, you don’t have to think about what you need to do anymore. So I make my to-do list every night. Reminders are for these little things that suddenly pops up in your mind and which you can easily forget too. I often have a blank paper to write these down which I can review at the end of the day. I also use post-it notes for things that needed to be done immediately. I write the thing down on a small-sized square-shaped note and just post it on the fridge where I can always see it. This way I don’t forget. And lastly, timers. I use my old phone for this. It helps me to get really focused on a single task. I also find it effective to compel me to complete those tasks that I don’t feel like doing. I’m using the Pomodoro technique by the way and I love it! It has worked very well for me. Health is wealth, they say. It’s a classic saying that still rings true to this day, and I think it’s applicable in like forever. It is sad that because of the demands that we have to face everyday, we may forget our most important asset – ourselves. Don’t let this happen to you. Take good care of yourself. First, nurture your body by cooking delicious and healthy foods. Second, include exercise time in your to-do list. It doesn’t have to be jogging or cycling around the block. It can be a simple stretching exercise which you can easily do at home. Third, stay hydrated. I love to-do lists with water icons included because these remind you to drink at least 8 glasses of water each day. You may find routines to be boring. But when you’re a mom, juggling work and running a household, and trying your best to find time for yourself and your husband without losing your mind, routines can be your ultimate savior. First, routines take a lot of the guesswork away. Second, accomplishing tasks don’t feel like a chore when they have become second nature. You won’t even need some kind of motivation to accomplish a task. You do need willpower and motivation though when you are still establishing a routine. But once it is built, you’ll find that it makes your family life simpler and easier. Productive moms are creatures of habit. Observe your productive mom friends and you’ll notice that they have schedules for mostly every repetitive tasks like grocery shopping, paying the bills, cleaning, cooking and teaching their kids. They also have morning and evening routines. Don’t waste your time on self-pity and negative thinking. It won’t help you in accomplishing anything. Worse, it takes away your precious energy. It drains you and it messes up with your mind. Being a mom is not easy. But if you keep on thinking positive things, the everyday demands seem to be lighter. Positive thinking also makes you a happier mom and it promotes happiness to your household too. I love how Kim Grundy emphasized the effects of being a positive Mom. Read her article here. 5. Find pockets of time during the day to be more productive. We often have these little moments of our day which we often underestimate because we think it’s too short to achieve anything. Well guess what? It turns out that these little fractions of time can still be turned into productive moments. Do some stretching in between heating water and turning on the shower . Set aside 15 minutes everyday to declutter. Read a book while waiting in a line. Deep breathe and stretch for five minutes. Make a call while the kids are busy with their homework. 6. Delegate some tasks. Let your kids help too! Organized moms don’t do it alone. They delegate chores and household responsibilities. In fact, no one can really “do it all”. You can hire a college kid or a work-at-home mom to run errands. You may also consider hiring a housekeeper. If your kids are old enough, by all means, let them help you in your daily chores. You can assign them to wash the dishes, fold clothes, make the bed, wipe counters, and other tasks that are appropriate in their age. Their work wont be perfect but that’s loads of work taken from your shoulders. Your kids will also learn to be responsible at home at an early age and that’s a very important value to teach your children. 7. Be purposeful with your social media. Social media can take much of your time if you’re not careful with it. You may say that you’ll be browsing for only 15 minutes. Time slowly slips by and the 15 minutes becomes an hour. I am not at all against at using social media. It helps me a lot in getting readers to this blog (Lol). But I am aware of how it can also be a distraction. Example is Facebook. While I don’t post in Facebook a lot, I would often find myself opening my messenger account. Sometimes I’d have a chat with my best friend, and it would use up my entire hour! So today I see to it that the only times I log into Facebook is when I’m checking updates in the group that I’m into. That’s when I’m commenting on other people’s blog posts, or sharing their contents. In exchange they share mine too. I still log into messenger, but only when I really need to PM someone. I find that scheduling a date time with my best friend is more efficient and more enjoyable than messenger chats. Also, I don’t browse Facebook to vent, or to discuss political issues, or to be updated on what everybody else is doing. These tactics save me a lot of time which I use for other more important things. So when you log in to your social media accounts, it helps to be clear with what you are really going to do. And stick with it! This way, social media remains to be a productivity tool and not a hindrance. 8. Have a good night rest. According to Healthline, a good night’s sleep is just as important as eating healthy and exercising. A good sleep is also essential for productivity because it improves problem solving skills and affects creativity. Even a little sleep deprivation can even affect our immune system negatively. Now how much do you really need each night? Your sleep needs will change over the years. If you’re a Mom aged 26-64, you need 7 to 9 hours of sleep. This is according to Eveyday Health. In my experience, I’m good with seven hours of sleep at night. And I know that this is very important for me because when I have at least 7 hours of sleep every night, I wake up feeling refreshed and ready for the day’s tasks. I also take a little nap (15 to 30 minutes in the afternoon if I’m feeling really exhausted) and that’s enough to keep me going again. Do you know that lack of sleep can also affect your mood? When people are sleep deprived, they feel more irritable. Researchers also found that if you lack sleep, you will not feel so positive at all. So do yourself a favor and give yourself a little treat! Make sleep a priority. Be aware of how much time you need to recharge your body. Then be creative with how you input sleep into your schedule. If you make sleep a priority, be confident that it will have a positive effect not only to you but to your family too! 9. Have a support network. Remember those moments with your friends when you can just be yourself and not be judged? Do you still have that kind of connection with others? Being a mom is a real challenge. And really, you know that it can drive you nuts! So don’t try to do it all alone. It is much easier and more enjoyable when you do it with other people who are caring and supportive. Do you have a core group of friends you can lean on? They may be your friends before you have become a mom. Or they may be moms too that you just met recently but have developed a strong connection with. What is important is that you can rely on them and they will be there when you need a helping hand. And when they need someone, they can rely on you too. If you don’t have a support system yet, work on creating one. 10. Keep learning about organization and productivity. It surely is applicable to being a homemaker. You don’t have to be limited by what you already know. 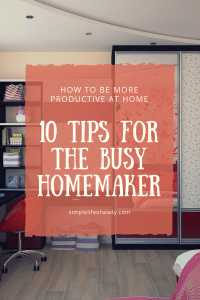 There are still a lot of things to learn out there that can help you be a better homemaker each day. You can always add a little knowledge to your Mom Toolbox. It can be a simple cleaning hack that can save you time, or another idea to arrange things at home, or a productivity tip that you can immediately try. Plus, having an idea to experiment with if it’s gonna work or not is another way to add fun to the day! Now choose which will you add to your day, or which one you need to improve on. Feel free to experiment until you figure out what combination works best for you. What’s important is you find your own flow that makes your day productive and positive. Some days will be better than the others, though. You will make mistakes. And there will be times when you will not be as productive as you wished. That’s okay. It happens to every mom. 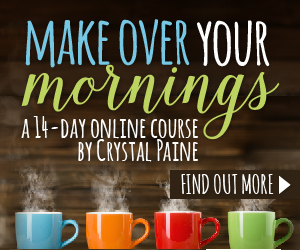 And there’s always tomorrow to learn something new, or to tweak things a bit, and be a better homemaker. Thanks for reading my post! Which one are you going to try or have already tried? Feel free to leave your comments. Love your post. 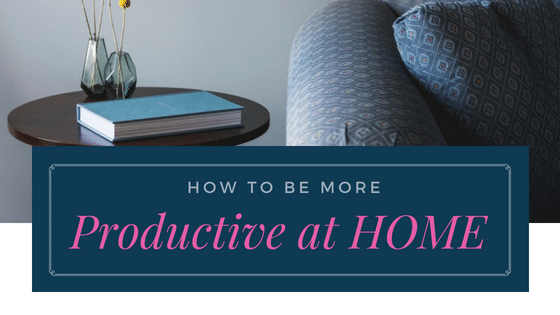 I’m a mother, homeschooler and trying to get my freelance writing career up and running so being more productive is a necessity. Organization is definitely the key – and finding those moments during the day where I can get a few ideas down. Thank you. You’re welcome Lara! Glad to have given you some idea. It’s hard to really get organized when you’re juggling career and being a Mom (another career I guess). But once you find your flow, with the right combination of organization and productivity tricks that work for you, you’re gonna rock it. Best of luck to your writing career. And it’s heartwarming to know that despite the hard work that you go through everyday, you still decided to homeschool your kids. You surely are a very dedicated Mom. Cheers to that! Thanks for the awesome post. I too am always on a quest for productivity hacks and trying to achieve more in less time. You’re welcome Rita! Glad to share some idea. Thanks for laying it out simple. You’re welcome Crystal! Glad to help. Thanks for this list! I have been slowly figuring out the routine one on my own. A tip I got from another mom was to clean the bathroom while your little one takes a bath. I feel like that is genius! Wow Rachel! Thanks for that awesome tip! Definitely will take note of that!